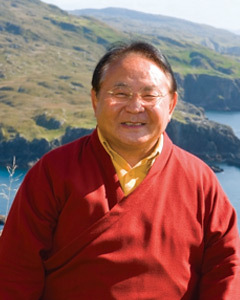 Sogyal Rinpoche is the author of the highly acclaimed and international bestseller,’ The Tibetan Book of Living and Dying’. Born in Kham in Eastern Tibet, Sogyal Rinpoche was recognized at an early age as the incarnation of a great master and visionary saint of the nineteenth century, Tertön Sogyal Lerab Lingpa (1856-1926), a teacher to the thirteenth Dalai Lama. 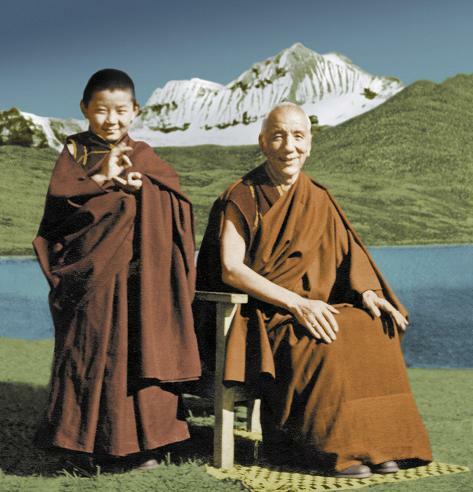 He received the traditional training of a Tibetan lama under the close supervision of Jamyang Khyentse Chökyi Lodrö, one of the most outstanding spiritual masters of the twentieth century, who raised Rinpoche like his own son. The Master ignored him. 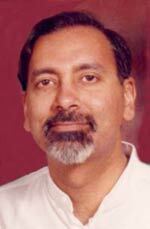 Students from India are usually persistent and they will continue asking the same question again and again until they get a satisfactory answer. After a few moments, he asked again. The Master remained quiet and continued to enjoy the show. The disciple waited, and asked again. “Y…e…s…” the discipline answered while still contemplating the question. “That is meditation,” the Master answered and turned back to the show. “Parinaama is a dynamic process and not a specific state of awareness- it is the process of transformation when applied to consciousness, leads to the state of Self-Realisation….The first transformation is called norodha parinaama in which the chitta-vrittis become suppressed by expanding the space between mental impressions. When one seed impression appears, there is a momentary gap of no-mind just as when the motion in one direction has to be reversed, the object in motion needs to come to a temporary rest first. The transformation occurs when the no-mind gap is extended. 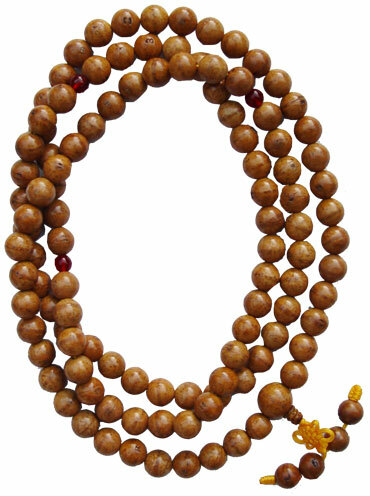 The seed impressions are caused by the karmic samskaras and vasanas – the habit patterns and programs from past lives. By application of effort, a new samskara is built up which aids in the transformation until the gap of nirodha can be extended at will and indefinitely without much resistance”. The ‘momentary gap of no mind’ or the ‘no mind gap’ mentioned by Rudra is the gap between our thoughts referred to by Sogyal Rinpoche’s master in the earlier story. During our day to day life, the gap between are thoughts are so brief that they are almost non existent. Our ‘train of thoughts’ that is, the shift from one thought to another is so close together that they are like beads strung tightly together. There is no space between them. Because of this, the ego or the illusory Self, appears to be something separate or something that exists inherently. We fail to see that the ego is merely conceptual or a bundle of our thoughts, memories, experiences and mental pictures. When we meditate, we allow the gap to extend. It is like we are loosening the strings, so that the gaps between the beads are wider and becomes more apparent. In my books, “We are here to Celebrate” and “Filling our Life with Celebration”, I talked about the importance of being aware about our thoughts or mental impressions so that we can understand the Self. However, I had a nagging feeling that what I have written is incomplete and there is an important point that I have not emphasised on. I have now realised what I missed. It is important to be aware of our thoughts but equally important, we must also be aware of the gaps between our thoughts or the no mind gap. In fact, it is only in these gaps that there is awareness. Outside these gaps, there is no awareness. We can observe this by meditating to a mantra. When we are caught up in our thoughts, we will not be able to hear the mantra. We may be sitting silently with our eyes closed and our ears can pick up the sounds but our consciousness will not be there. We are too occupied with our thoughts. Only in between thoughts can we hear the mantra. Similarly, when we are having a conversation with a friend, if he says something which triggers a train of thought within us, we will miss what he says subsequently. He may continue to talk but we will not hear him. Only when we move back into the gap between our thoughts do we hear him again. When we observe the gap between our thoughts, we will be able to extend it and enjoy the silence. As mentioned by Patanjali, in between the gaps, we are in a temporary state of no-mind. The ego ceases temporarily. It is at that moment that we get a glimpse of our true Self; the pure consciousness that makes up the universe. We can feel our minds expanding as if we have tensed our muscles tightly for a long while and then becoming aware of this, we relax our muscles. There is a feeling of relief. At that point, we experience the beauty of letting go. It is important to recognise this feeling of relief in our mind when we move into the no mind gap because it will help us to move into in the gap during our daily life. While meditating, we will fluctuate between moments of being caught up with our thoughts and moments of silence when we are in the gaps. When we are absorbed in our thoughts, we will not be truly aware of them. Our thoughts will move so fast that we will not be able to recall most of them. However, when the train of thoughts ceased and we move into a gap of silence, there is a moment of awareness when we can recall and evaluate our most recent thoughts. This is done unconsciously as if an echo of our recent thoughts flowed into the gap momentary. That moment is important because we are able to shine our awareness on those recent thoughts in order to understand the Self. Once the echo passes, we can then rest in the silence of the gap. When we are in these gaps, we can just rest in its peacefulness or we could use our awareness to observe our physical body or any emotions that are present. Everyone will have these brief moments of no mind. Therefore, everyone has the ability to observe one’s true self and become enlightened. However, few recognise the existence and the importance of the no mind gap. We are fortunate to have Patanjali point it out to us. However, the responsibility still lies on us to meditate, understand and experience it. Being familiar of the Gap allows us to extend it and rest in it in our daily life. The more we observe the Gap, the longer it remains. It is very different from our emotions. When we try to observe it, it fades. Understanding this can give us mastery over our mind. To illustrate this, let’s say that someone is rude to us for no reason. Our anger may arise gradually or it may explode and trigger an immediate reaction by us. If it arises gradually, we may catch it before it becomes overwhelming. We can move into the gap and observe our anger fading while watching our breath. By watching our breath, we will automatically move into the gap. Our breath will not have the opportunity to become quick and shallow; a necessary condition to maintain the anger. If that day, we happen to have a short fuse and the anger just blow our top, we may react by saying something rude back. We can still decide not to proceed with the argument. In between our thoughts, there would still be brief gaps. We can move our attention to our breath; take the opportunity to observe the gap between our angry thoughts and rest in it. By observing the gap, it will lengthen. Our anger will die. Our breath will be short and shallow but it will gradually slow down and become deeper. We can no longer sustain our anger and at that point, we can choose to walk away and prevent the fight from escalating. We may also observe the tension in our body brought about by the anger. Wherever the tension is, when we bring our awareness to that part of the body, we send prana to the location and the area will automatically relax. We observe our jaw and the tension there is released; we observe our shoulders and they become relaxed. It is so easy. This can be applied to our day to day life as well. If we are conscious of the gaps between our thoughts during meditation, we will be aware of the gaps during our daily life. No matter how small these gaps are, we have the opportunity to make a choice. We can choose to react based on our habitual patterns or we can choose to no longer be a slave to our mind, habits and conditioning. We can put our foot down and tell ourselves that our mind is merely a tool and not our master. We will not react but take control of our emotions. When we make that decision, we take back our power. We become like what the Buddha describe as a pole planted deeply into the earth and can never be swayed by the stormy winds. When we rest in the gap of no-mind, we are being with the Divinity within. Sogyal Rinpoche refers to this as resting in the nature of the mind. When we face problems, it is important that we allow ourselves more time to meditate and rest in the gap. By doing so, we are surrendering the problem to the Divine. When we have problems, our natural tendency or habit is to worry about the problem. We disguise this habit of worrying by telling ourselves that we are trying to find a solution to the problem. However, if we are honest with ourselves, we will see that we are just creating scenarios of all the bad things that could happen over and over again in our mind. Most of them will not happen. So, worrying of the problem will not help us. It is better to just calm our mind and rest in the gap. We surrender our problems to the Divine without any expectation of the outcome. The divine may plant a seed of the solution in our mind and when the time is right, the seed will blossom to help us solve the problem. The Divine may also direct you to the right person to help you solve the problem. Or the Divine may not do anything because the problem is there to prevent you from making a big mistake. The outcome is numerous and it is no point that we try to figure out how the Divine will help us. Just be confident that if we rest in the gap, the Divine will help us. Examples of mental impressions are thoughts, self-talk, mental pictures, recalling a memory etc. You actually make it seem so easy with your presentation however I find this matter to be really one thing which I feel I might by no means understand. It seems too complex and very vast for me. I am looking forward for your subsequent put up, I’ll try to get the hold of it!